Various notes without a single topic, but all related to the possibilities of immersive art and text. CG and 360 possibilities are innumerable and exciting...but aren't there also untapped resources in the traditional 2D artforms? I am just thinking out loud here...would love to hear your comments. ...some links related to this. Oh yes... the image used at the top of this post was "borrowed" from the blog of Skarred Ghost, who is doing some amazing things with VR and full body presence. (Interesting in terms of card size/distance from viewer) For a card game, Dragon Front was an exhilarating experience that mixes the tense moments of high-level strategy play with the full-body escapism of VR. Yet after a few turns going back and forth, you start to completely forget that you're even playing a game with a headset on. The competition starts to feel as natural as a physical table-top experience, while the Rift just becomes an interface for your virtual showdown." After just 10 minutes or so of tutorial playing, I was able to grasp the game's lengthy turn-based combat and try my hand at a real one-on-one fight with another human being in VR. For a card game, Dragon Front was an exhilarating experience that mixes the tense moments of high-level strategy play with the full-body escapism of VR. Yet after a few turns going back and forth, you start to completely forget that you're even playing a game with a headset on. The competition starts to feel as natural as a physical table-top experience, while the Rift just becomes an interface for your virtual showdown. Dragon Front has a couple fun quirks to amplify that sensation. For one, your opponent's face shows up as a omnipresent floating mask above their fortress, and it will mirror the direction of their gaze and facial expressions in real time so you can feel as if you're sitting across the table from the person. Dragon Front also relies on in-game voice chat so you can talk to your opponent as the game progresses. So Dragon Front may not be the most immersive VR title out there or one you could show your parents to convince them of the technology's potential. But it's certainly a unique rethinking of the VR approach, one that will most certainly catch on as headsets like the Rift start becoming a more common way to play a wide variety of games and not just first-person experiences. This entry was posted in Art, Artists, Contemporary Lens-Based Imaging, virtual reality, VR, VR and tagged VR. Bookmark the permalink. Thanks for having shared my article! 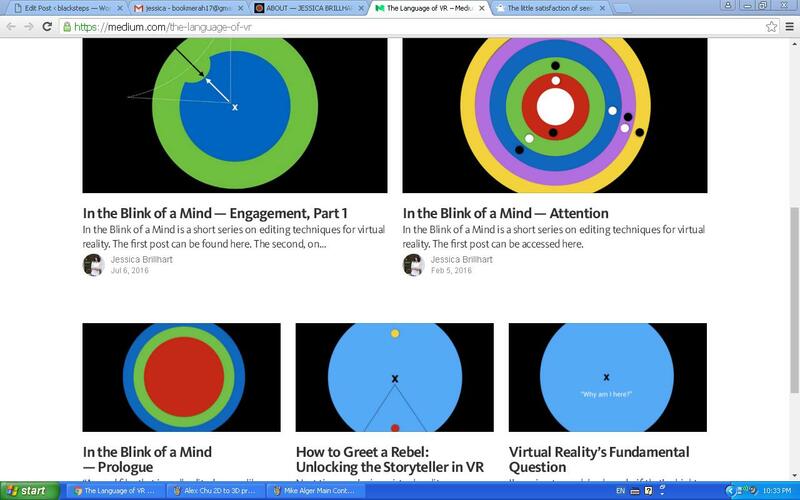 It is always interesting interacting with other VR passionate people and reading their articles!